Elegant and rich, this dark, juicy port has an excellent balance of fruit, acid, sugar, and tannin. Not too sweet, not too big, it is all-around easy to drink and enjoy. Quinta do Infantado, Ruby Port is an organic port made in the traditional way. The house style is “meio-seco” (medium-dry) so while this is definitely a sweet wine its not syrupy or jammy. The Quinta has been owned by the same family for over 100 years and nowadays the brother and sister team of João and Catherine Roseira run the family business. The vineyards are steep and terraced and all the port is estate bottled. They usually blend 2 or 3 vintages to achieve the signature house style. Lots of plum and berry fruit is balanced with nice structured acidity and tannins. Perfect for watching netflix on a Wednesday night or pair with dark chocolate or goat cheese for a wonderful dessert wine experience. 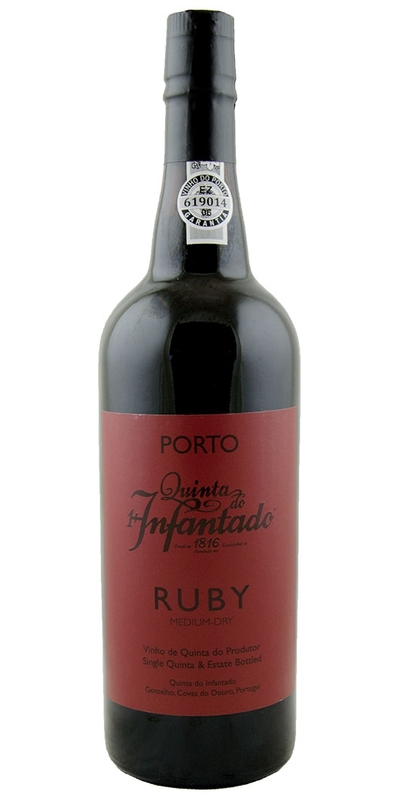 Notify me when Quinta do Infantado, Ruby Port is back in stock.